Relish it, folks: We finally have a bit of good news to share when it comes to L.A.’s food inequality problem. Earlier this month, City Council unanimously voted to require all farmers’ markets registered in L.A. to accept CalFresh EBT cards (a.k.a. electronic food stamps), according to KPCC. The move is part of an effort to make fresh produce more accessible to low-income communities, and as of last Tuesday, following a sign-up event at City Hall, almost 100 percent of L.A. markets are now on board. After the event, Councilman Jose Huizar, who made the original motion, said that the vote “represents a key step in creating a fair farmers’ market system that ensures all Angelenos, regardless of income level, have access to healthy foods.” The sentiment was echoed by Clare Fox, executive director of L.A. Food Policy Council, a group that advocates for universal acceptance of EBT at markets. “CalFresh at farmers markets’ is a great step toward helping low-income families access and eat fresh and healthy food while also supporting our local farms, farmers, and local economies,” she said in an email. 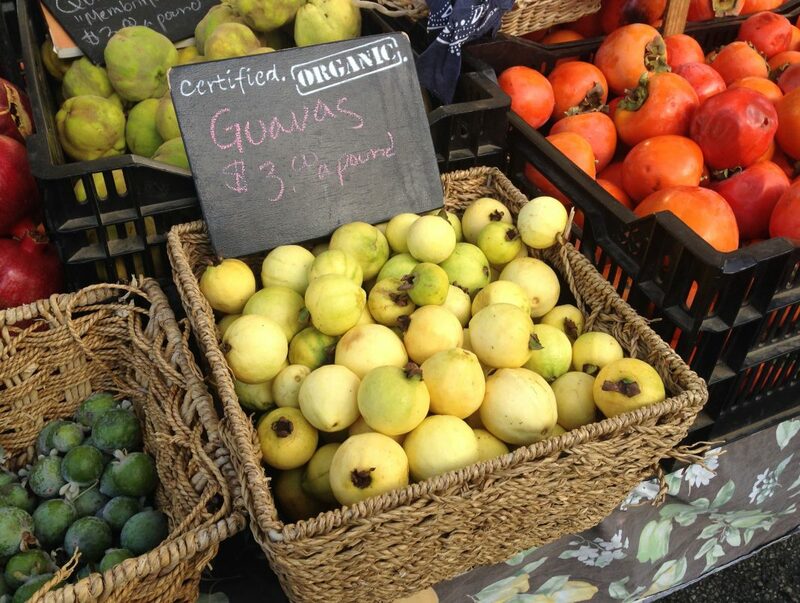 Double all Cal Fresh EBT dollars spent on produce at farmers’ markets. Market Match is program in California that matches the dollars spent by those receiving federal nutrition benefits, like EBT and WIC, when those dollars are spent at participating farmers’ markets. (So if you spend $10 on produce, you get $10 to spend on more produce.) Since Market Match was founded in 2009, it has grown from 44 to 250 participating markets in California, including many in Los Angeles. According to Market Match’s website, 61 percent of those surveyed said the program was an important part of their decision to shop at farmers’ markets and 79 percent said their consumption of fruits and vegetables increased due to the program. The return on the investment is a very impressive 440 percent; in 2014, $550,000 in incentives drove $2.2 million in spending on produce at participating markets. In short, people are buying better food, and farmers are making more money. Fox and the Food Policy Council also advocate for the expansion of Market Match into the retail arena. A national study of from Project for Public Spaces found that one of the biggest barriers for low-income shoppers who don’t frequent farmers’ markets was simply not knowing that they exist. About half of those polled said they didn’t know the hours or location of their local market. Finding ways to let people know when and where markets are, beyond online advertisement (we’ve also got plenty of internet deserts in L.A.)—and that their EBT dollars are good there—could go a long way in increasing attendance and bringing more funds to local farmers. Listings and brochures at WIC centers, social security offices, and community spaces could be good places for this information. Signs within the market are also helpful. Open more markets in low-income neighborhoods and make them worthwhile for farmers. This is not an easy task. Starting up markets that are economically sustainable can bring many challenges. Last year, during the lead up to the expected opening of the Compton Farmers’ Market (which is currently on hold because of a “location issue”), one of the market’s organizers noted a few of the issues they were facing. Getting word out to the people was one, but there was also the challenge of making the venture worthwhile to farmers who often travel hundreds of miles and operate on razor-thin margins. It takes time to build a customer base, making joining a new market a financial risk for farmers. Honoring EBT payment and increasing the bang for your buck with Market Match are just two ways to encourage an influx of money into markets and an incentive for skeptical farmers. Think beyond the farmers’ market. While more farmers’ markets could be a good thing, opening more traditional, once-a-week markets is not always the most effective approach. Optimizing the options already up and running—instead of starting from scratch—might be more effective in some cases. Getting more fresh produce into local groceries and corner stores, helping to stabilize struggling markets already in existence, and supporting community gardens could bring more immediate benefits. There’s no one-size-fits-all answer when it comes to bridging the healthy food divide. Asking people within under-served communities what makes sense in their neighborhoods is crucial to finding sensible solutions with long-term benefits for all Angelenos.